The Little Tramp — Sir Charlie Chaplin — one of the world’s greatest cinematic comedians died in his sleep on Christmas Day 1977 at his Swiss home. When he died he made his wife, Oona, the richest widow in the world. His funeral was held in the Anglican Church at Vevey on 27 December. On 1 March 1978 Roman Wardas, a 24-year-old Pole, and Gantscho Ganev, a 38-year-old Bulgarian, both car mechanics, stole his body from its grave in Vevey Cemetery, Etienne Buenzod. A ransom note for 600,000 Swiss francs was delivered but not paid. 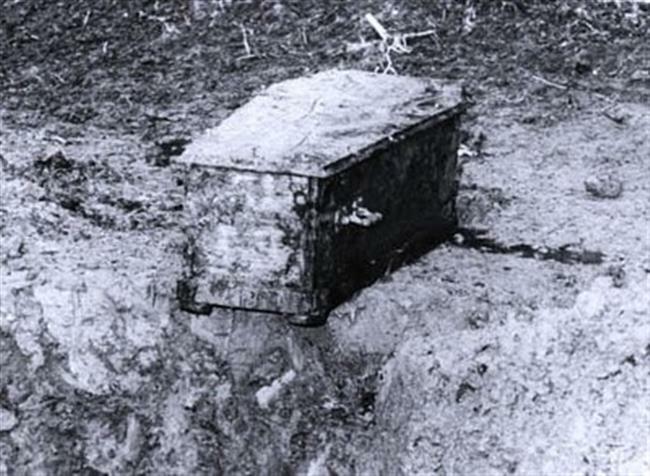 On 17 May the body was recovered from a cornfield near Noville and reburied in a vault of concrete, 1.8 m (6 ft) thick. Born on 20 November 1908, Alistair Cooke was most famous for his long-running radio show Letter From America which ran for 58 years until 2 March 2004 when, aged 95, Cooke announced his retirement. He died 28 days later at his home in New York City. His body was cremated and his ashes scattered by his family in Central Park. On 22 December 2005 the New York Daily News reported that body snatchers working for Biomedical Tissue Services of Fort Lee, New Jersey had removed bones from Mr Cooke and many other people prior to their cremation. They were using the bones for grafts. To ensure that the bones of Mr Cooke were suitable, the thieves doctored his death certificate, changing his age from 95 to 85 and altering his cause of death. In December 1978 Roman Wardas and Gantscho Ganev were found guilty of stealing Chaplin’s coffin and extortion. wardas was sentenced to four and a half years’ hard labour. Ganev received an 18-month suspended sentence. A simple cross marks the spot in the field where Charlie Chaplin’s coffin was found.